What's The Score? Content We Want To Share! New content published around English language competency. This original post appeared on this page. We loved it so much, we wanted to share it with our own readers. 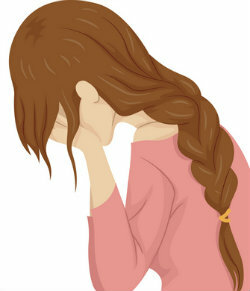 The affective filter is like an invisible wall that we put up in our minds when we feel fear, anxiety, nerves, etc. When you are new to a country and learning the language, culture, and content, sometimes your affective filter can be turned up pretty high. As teachers, we can lower the affective filter for our ELL students by making them feel safe, welcome, and comfortable in our classrooms. But sometimes we don’t even realize there are things we say or do that may raise the defensive shield of these students. Here are six things we should avoid saying to our English learners. 1. We only speak English in here. Telling a student that English is the only acceptable language in the classroom sends a clear message that their native language is unwelcome and perhaps unrespected. An ELL’s native language is part of their identity and culture. Asking them to put that aside or shed their identity is not fair. I remember feeling a struggle myself with identity when I was a young ELL. Where did I fit into this world? Why was my language different from everyone else’s? Did I need to conform? These feelings can easily be avoided by affirming a child’s native language and using it as an asset in the classroom. Empower students with the knowledge that having more than one language is an advantage and a beautiful thing! And embrace the fact that using the native language supports the development of the target language. Sometimes when working with students, especially on their writing, we may ask them, “Does that (wording) sound right?” To an ELL, it probably sounds right – even if it’s wrong. While native English speakers may have an “ear” for what English language structure sounds like, often English learners haven’t had enough exposure to the English language yet to have that ear for what “right” sounds like. Knowing that other languages don’t always transfer directly helps us to understand that ELLs need massive amounts of practice hearing, speaking, reading and writing in English. They need excellent models of what English should sound like. 3. You should read books in English only. Though it may seem like our English learners need to read only English books in order to become stronger in English more quickly, in truth, reading in their native language can actually support the development of English as well. Research says that the stronger a student is in their native language, the better they can transfer that literacy and knowledge into their target language. Not only does the practice of reading in their native language support their literacy and language development of English, but it also fosters a love of culture and diversity. When we let our students know that reading in their native language is valued, we share with them that we value their identity. And that builds their self-esteem and creates an awareness in the classroom community that being yourself is acceptable and important, whatever your origins. 4. The more you practice English at home, the faster you’ll learn it. Yes, practicing English is important. I can’t argue that. And it’s our job as educators to provide ELLs and all students multiple opportunities daily to interact and practice academic English with their peers. However, when they go home, if there is another language spoken, we should encourage the development of that language. Cultural heritage and bilingualism are critical to many aspects of a person’s identity and future in a global world. If we encourage a child to go home and speak English in a family where another language is naturally spoken, then we are asking them to shed their identity and leave behind their cultural heritage. We are asking them to decrease their bilingual brain. How can we deny a child these positive attributes? In a global society, being bilingual has many advantages both socially and in the workplace. 5. You’ve been here long enough. You should know this. Acquiring academic English can take five to seven years. Sometimes students’ social English skills can fool us into thinking they are fluent in English. We hear them speaking with their peers and interacting during lunch or between class periods. They sound like they have mastered the language. However social language or BICS (basic interpersonal communicative skills) is more quickly acquired than academic language or CALP (cognitive academic language proficiency). Just assuming that a child has been here long enough to comprehend something that we are teaching is dangerous. Many factors contribute to how quickly students acquire language. For example, students with less proficiency in their native language may require more time to progress in language and content in the target language. Rather than telling students they should know something, the best practice is to meet them where they are and take them to the next level. 6. You’re from (____), so you should be good at (___). I had a student once from Asia who was very timid when she first arrived. She could read well in English, but her writing and speaking were at a beginner stage in language development. Her math teacher was disappointed because she felt the child should be able to complete the math work. After visiting with the student and holding a parent-teacher conference, we found that the student struggled with math concepts in her home country as well. Instead of making assumptions or stereotyping, we need to get to know our students and their families. Everyone is unique and is an individual. We have to take great care not to lump people into groups and label, especially not our students. This isn’t everything, but it’s a start. If you are reading this, you obviously love your students and want what’s best for them. We do what we know until we know better. Please share this article with other teachers of ELLs. 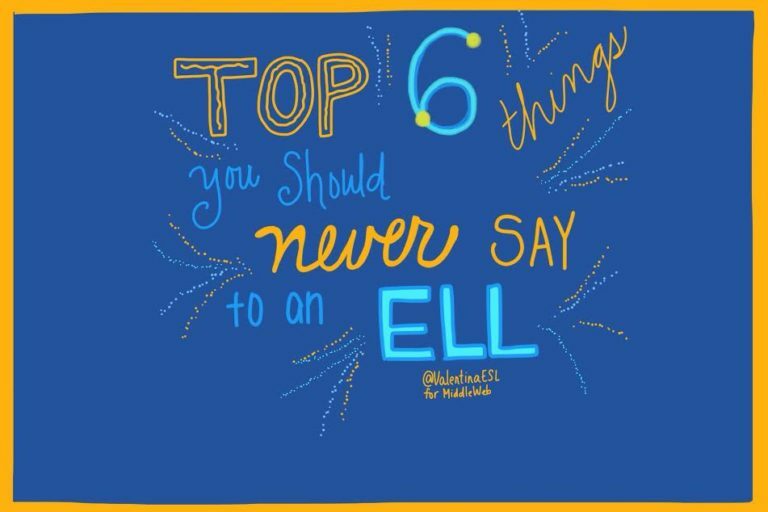 And comment below with your own suggestions for what not to say to ELLs. Thanks for reading and sharing!